Jerry Seguin and Helen Hoefer, right, with Joanna Pappalardo. 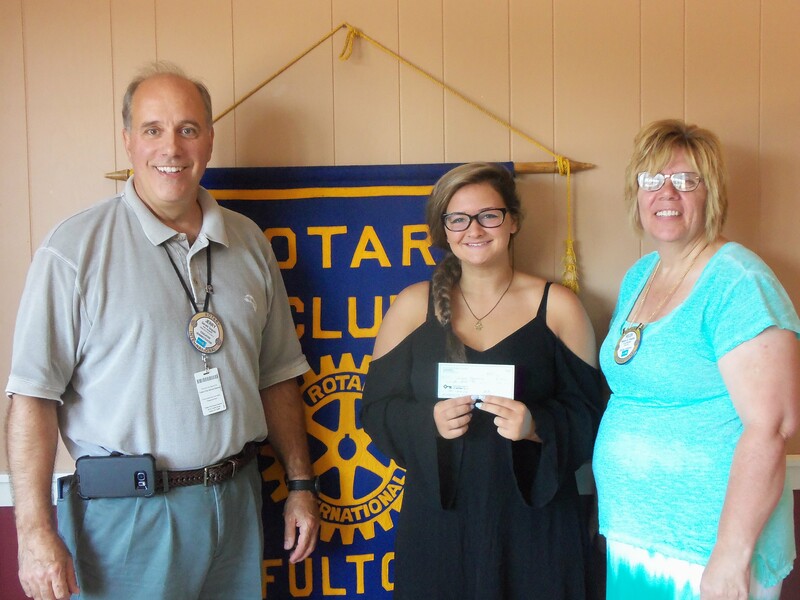 FULTON, NY – Fulton Rotary Club Scholarship Committee chair Jerry Seguin and president Helen Hoefer congratulated Rotary Scholarship recipient Joanna Pappalardo at a recent meeting. 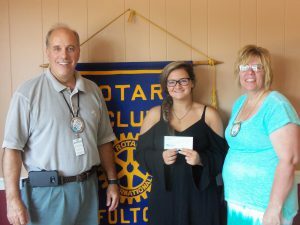 Joanna is a June graduate of G. Ray Bodley High School. She will be attending SUNY Oneonta to study psychology this fall.